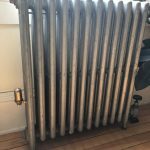 Cast Iron steam radiators became popular in the late 19th century and were often fired in coal, then oil, and now on gas. Housing stock dating from this period often still use steam heat although some can be converted to run on hot water. Modern hydronic heating systems work on water temperatures between 140 and 180ºF. Steam requires 212ºF heat, and the only boilers that can achieve 212ºF are fueled by oil and gas. Some steam radiators can be converted to heat with high temperature water instead of steam. This is great news because it means your steam heating system might be able to run on a wood pellet boiler. This is your only renewable option for steam radiators. 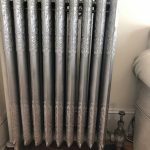 Can my steam radiators be converted to hot water? 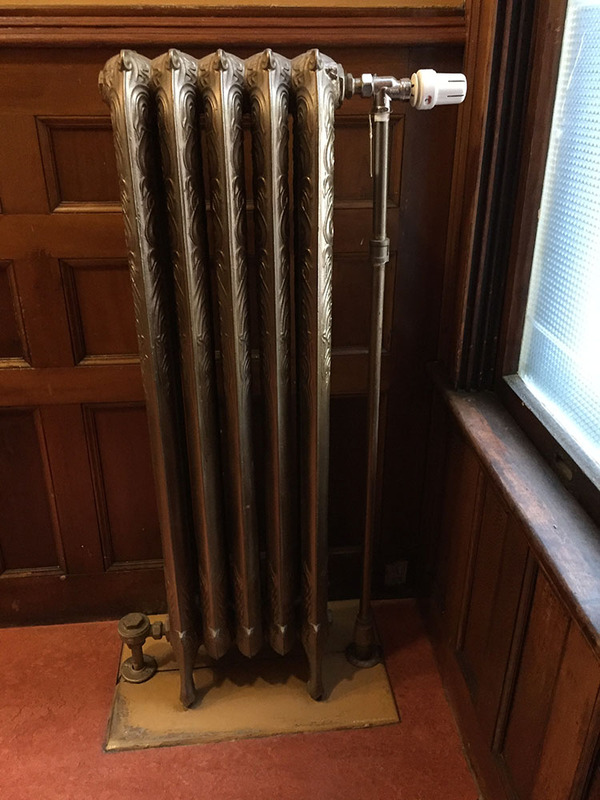 Both of the following examples are single-pipe cast iron radiators that are still running on a steam system. In order to determine if your radiators can be converted to hot water, take a close look at the following two examples. This kind of radiator can be converted to hot water. Notice first that the top of the radiators columns are connected in a way that allows water to flow across the columns at their top. Second, on the side of the radiator, at the top and the bottom, you can see plugs (tappings.) 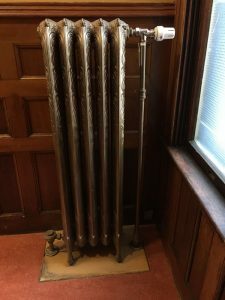 Converting this radiator to run on hot water instead of steam would involve replacing the top left tapping with a return line back to the boiler loop. 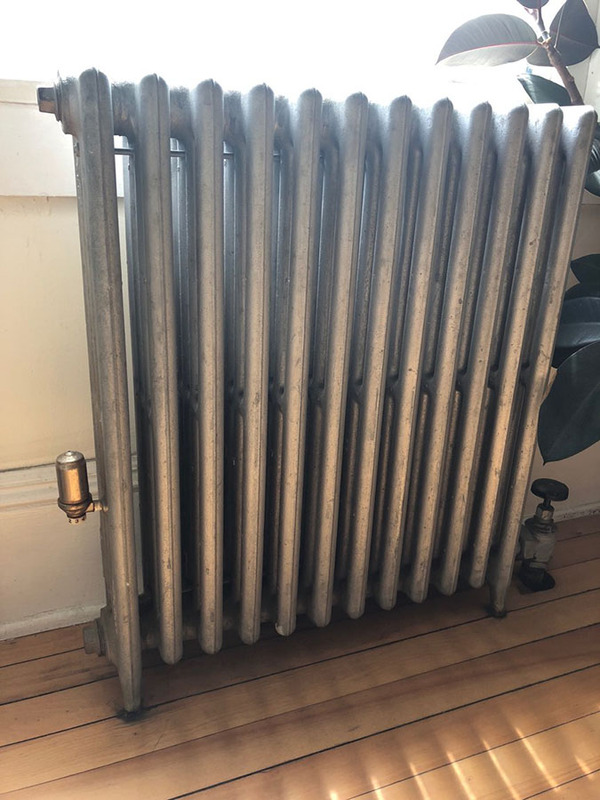 This kind of radiator is an older design and cannot be converted to hot water. 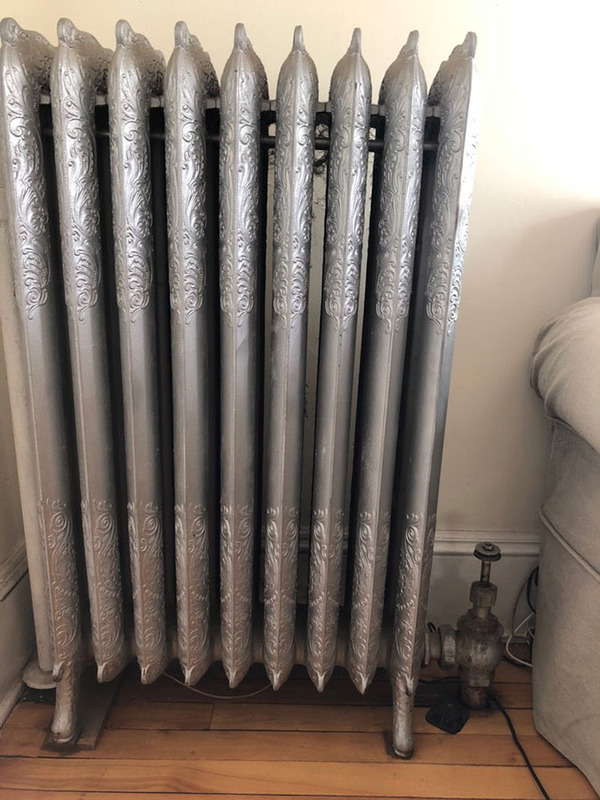 Notice that the tops of the radiator columns are connected by the iron casting but water could not flow across them. Also, the side tappings are not present with this kind of radiator although it is difficult to see that in this picture.